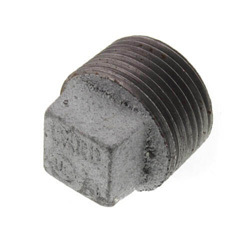 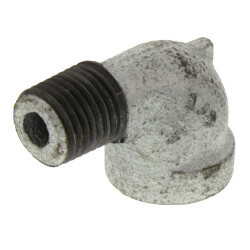 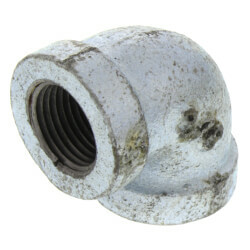 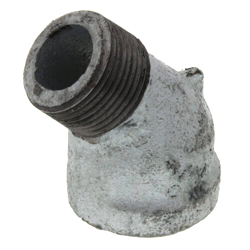 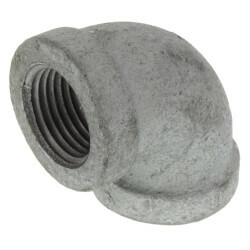 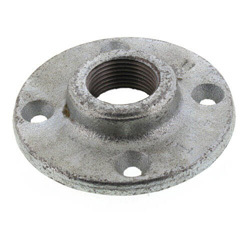 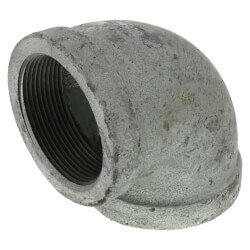 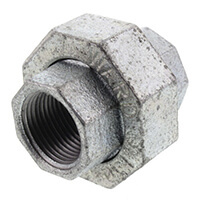 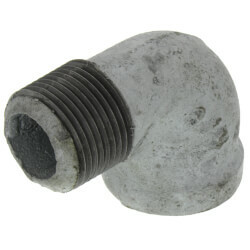 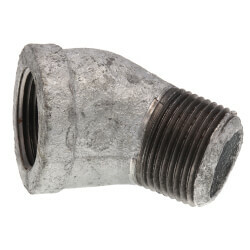 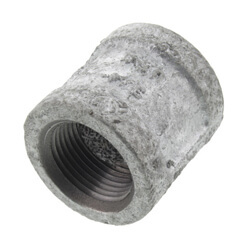 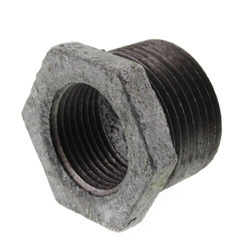 Galvanized fittings are used for countless outdoor and industrial applications to protect against corrosion and salt. 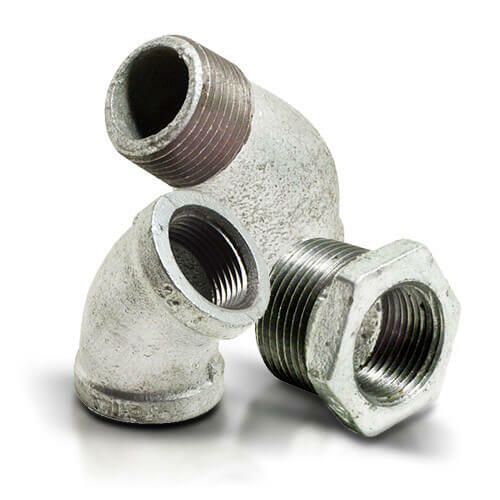 Galvanized pipe and fittings may be used in most applications with the exception of underground lines. 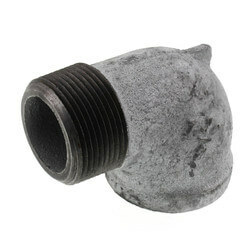 They work best with cold water lines, but are suitable for hot water lines as well. 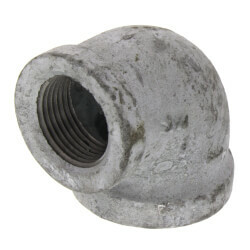 The main advantage of using galvanized fittings is their superior rust resistance when compared to black and copper fittings. 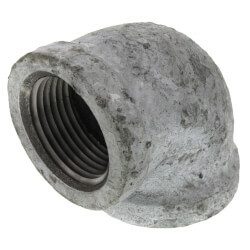 There are many different types of galvanized fittings, each serving a particular function. 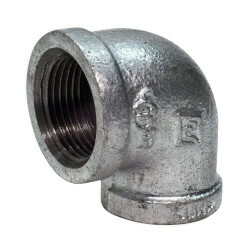 45 & 90 Degree Elbows are used to change the direction of the flow of water 45 or 90 degrees. 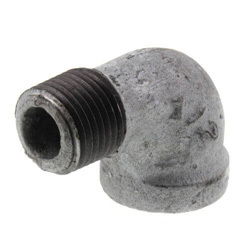 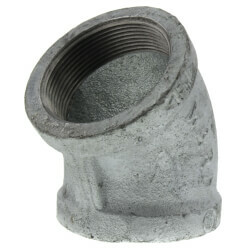 These fittings are connected directly to a galvanized pipe. 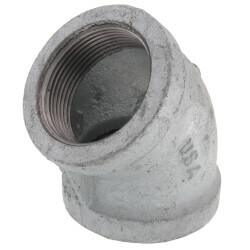 45 & 90 Street Elbows are also used to change the direction of the flow of water 45 or 90 degrees. 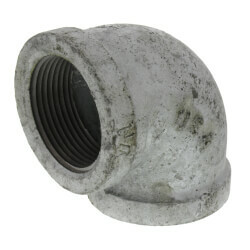 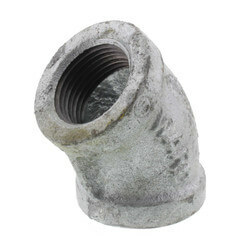 Unlike a standard elbow, a street elbow is connected to a galvanized fitting. 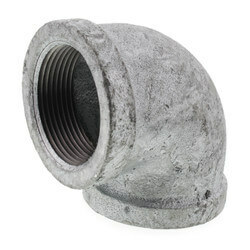 Couplings are used to connect two pieces of galvanized pipe together. 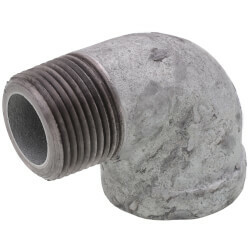 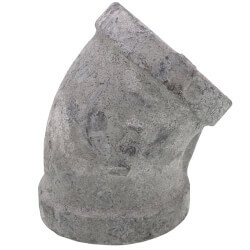 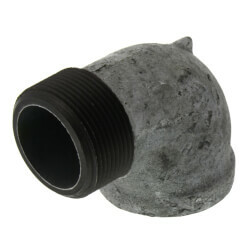 Caps are used to cover the outside end of a galvanized pipe. 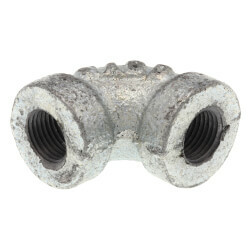 Unions are similar to couplings and are used to connect two pieces of pipe together. 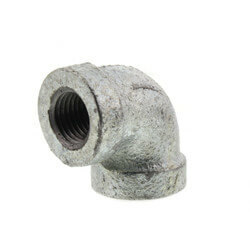 However, a union is designed to allow quick and convenient disconnection of pipes for maintenance or fixture replacement. 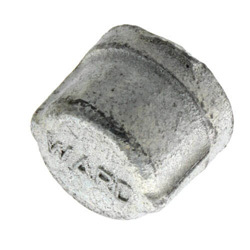 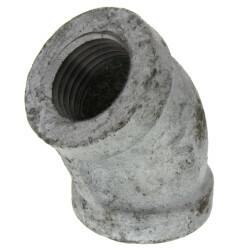 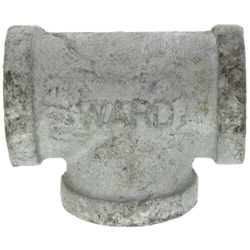 We offer a wide selection of Ward galvanized fittings, with sizes ranging from 1/8" to 2".